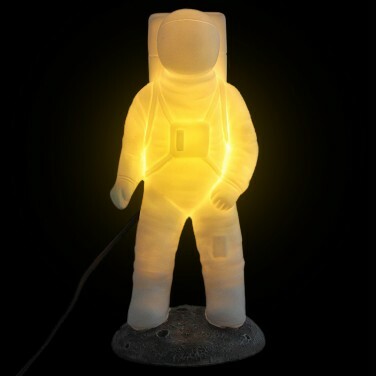 Standing on his very own piece of the Moon, this space adventurer gazes into space shining with a soothing warm white glow. 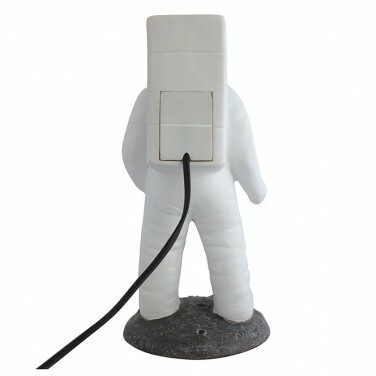 Ideal for the room of mini explorers, this stylish Spaceman Lamp is ideal for use as a nightlight and lit by a warm white LED it remains cool to the touch. 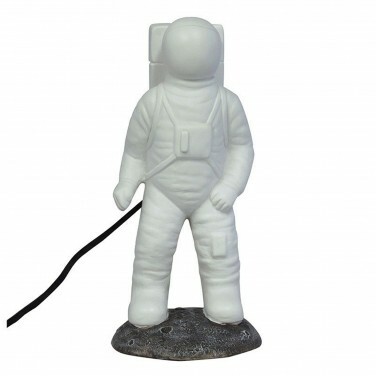 Place in your child's room to offer reassurance at night and let little ones drift off in the gentle light from this friendly spaceman dreaming of their own adventures in space!